We are pleased to announce we are now a recognised member of the SafeContractor scheme! We have been awarded accreditation from Alcumus SafeContractor for achieving excellence in workplace health and safety. 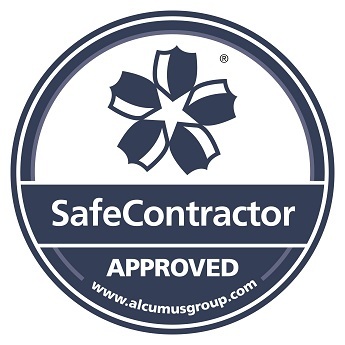 Alcumus SafeContractor is a leading third-party accreditation scheme. The scheme recognises extremely rigorous standards in health and safety management amongst contractors. Many major clients recognise the scheme and accept the SafeContractor certificate as confirmation of competency. It is used by thousands of organisations in the UK. These include small and medium sized businesses right through to FTSE 100 companies. We applied for the SafeContractor accreditation as we wanted a uniform standard across the business. We are a family run business based in Sutton. Our history dates back over 50 years! Our highly trained engineers specialise in heating and plumbing. From servicing to installing a new boiler, undertaking plumbing work and electrical work we cover all your household appliance needs. We cover the South East, from South London, through to Surrey. For all your plumber and heating needs please get in touch! http://www.carshalton-boilers.co.uk/ or call us on 0208 3958060.